Advocating MORE government activity in the form of regulations only makes government stronger. 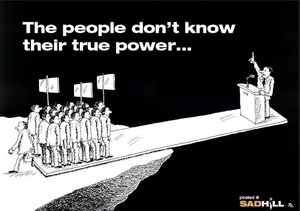 The fight then becomes one of who gets to control government. The answer to the abuses of government subsidized Crony-Corporations is BOYCOTT and private alternatives. 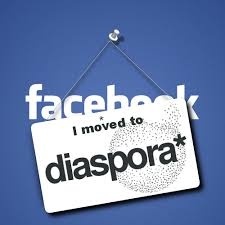 One of THE BEST private alternatives and model for other private alternatives is the Diaspora social media network. It is a distributed network of interconnected nodes that are owned and operated by its users and–unlike Facebook, Twitter, Google+, Yahoo et. al. –it runs without advertising or censorship. Read about it at the Wikipedia link provided below. Join a Diaspora node or even start one of your own. NOTE: Google+ looks like Diaspora because Google copied the open-source Diaspoa software, removed the private nodes coding and then added Google spyware. Thanks. I am trying to provide the same horsepower to Highlander. I suspect it may take a while, but I’m working on it. If you review the distributed node nature of Diaspora, you might find virtue in starting your own node rather than reinventing what is already superior to Facebook. (See wikipedia explanation.) Diaspora would be an uncensored (and uncensorable!!) Facebook/Google+/Yahoo replacement rather than a Highlander replacement.